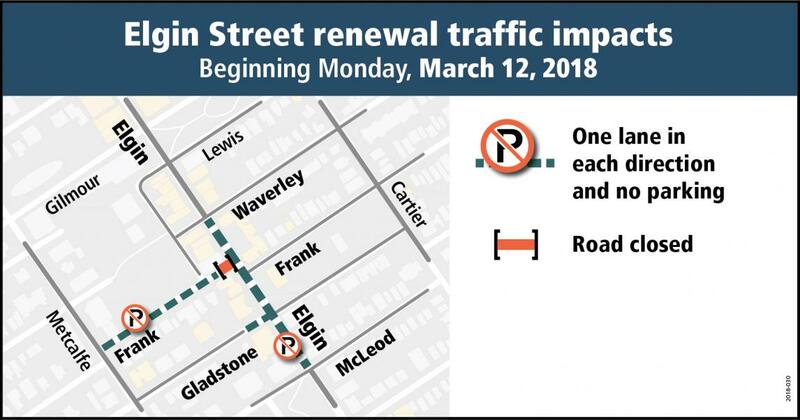 Ottawa – The City of Ottawa invites residents to attend a public information session to discuss the renewal and construction plans for Elgin Street. This meeting will give residents an opportunity to review the preliminary design plans for the project and learn about the upcoming construction. Details for accommodating pedestrians, cyclists, transit service vehicles and general traffic detours during construction will also be presented. Representatives from the City, the design consultant, Transportation Committee Chair Councillor Keith Egli and the Ward Councillor Catherine McKenney, will be available to discuss the project and answer questions. Your feedback will assist the City in finalizing the design. For more information about the project, and to sign up for the e-newsletter, please visit ottawa.ca/elginstreet.